At Gibbons, Neuman, Bello, Segall, Allen & Halloran, P.A., attorney Elizabeth P. Allen, JD, LLM, is dedicated to helping seniors and their families in jeopardy of losing financial security or quality of life due to the costs associated with long-term health issues and disabilities. Ms. Allen has the knowledge and experience to assist her clients to navigate through complex state and federal laws and programs, such as Medicaid and Medicare. She is available to assist you or a loved one with all issues pertaining to: -Elder law -Special needs planning -Estate planning -Medicaid planning -Veterans Administration benefits Counseling and Services for Long Term Care and Estate Planning Issues: Every individual should plan ahead for how he or she wants loved ones cared for and property distributed after death. Just as important is to plan ahead for an unexpected event, such as an accident or disease, which results in mental incapacity or physical disability. Individuals who anticipate declining health and eventual dependency for themselves or a loved one due to known health problems or disabilities must start planning early to put mechanisms in place that will safeguard finances and quality of life. Ms. Allen offers discrete, personal service through which she identifies your concerns and goals and designs solutions to help you meet those goals. Gibbons, Neuman, Bello, Segall, Allen & Halloran, P.A will represent your Real Estate legal matters. Elizabeth P. Allen, JD, LLM, focuses her practice on people concerned with losing financial security and quality of life due to the cost of long-term health problems and disabilities. 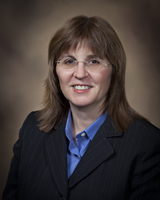 She is a member of the National Academy of Elder Law Attorneys, ElderCounsel and ElderCare Matters Alliance. She is co-editor of NAELA's weekly online eBulletin, which covers Elder and Special Needs issues and caselaw. Ms. Allen is a member of the Elder Law Section of the Florida Bar and a member of that Section's Medicaid Committee. She is also a member of the Academy of Florida Elder Law Attorneys. Ms. Allen received her J.D. degree from Stetson University College of Law in 1988 and also earned a Master degree in Elder Law from that institution. She was a member of Stetson's faculty from 1989 to 2001, serving as an adjunct professor teaching an academic skills workshop course. She graduated from the University of South Florida in 1986, earning a B.A. in Economics. Ms. Allen joined Gibbons, Neuman, Bello, Segall, Allen & Halloran, P.A. in 1989 and became a shareholder in 1998. She is admitted to practice in the State Courts of Florida, the U.S. District Courts for the Northern, Middle and Southern Districts of Florida and the U.S. Court of Appeals for the Eleventh Circuit.